Employees of Bodywerks Wish You a Safe New Years! -The largest snowflake measured 15 inches by 8 inches thick! We would like to take this moment to offer a truly heart-felt, “thank you” for your continued support. The employees of Bodywerks love what they do and are very thankful for each and every customer that has helped us to grow our bu siness. 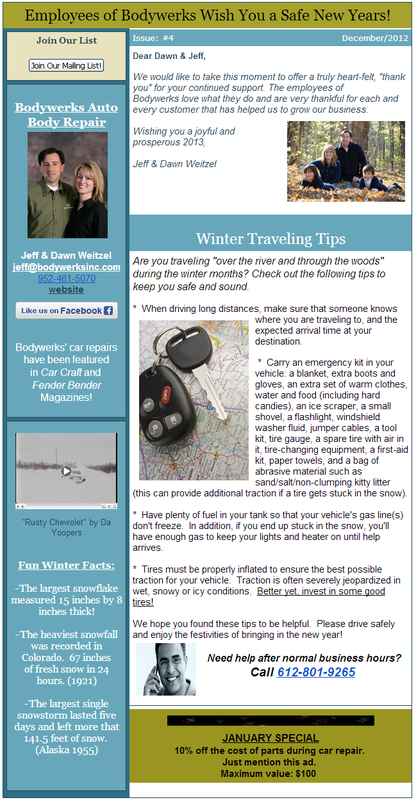 Are you traveling “over the river and through the woods” during the winter months? Check out the following tips to keep you safe and sound. 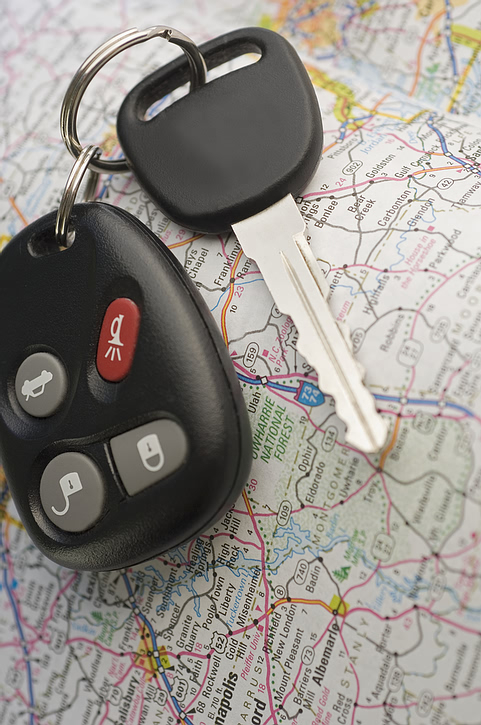 * When driving long distances, make sure that someone knows where you are tra veling to, and the expected arrival time at your destination. * Carry an emergency kit in your vehicle: a blanket, extra boots and gloves, an extra set of warm clothes, water and food (including hard candies), an ice scraper, a small shovel, a flashlight, windshield washer fluid, jumper cables, a tool kit, tire gauge, a spare tire with air in it, tire-changing equipment, a first-aid kit, paper towels, and a bag of abrasive material such as sand/salt/non-clumping kitty litter (this can provide additional traction if a tire gets stuck in the snow). * Have plenty of fuel in your tank so that your vehicle’s gas line(s) don’t freeze. In addition, if you end up stuck in the snow, you’ll have enough gas to keep your lights and heater on until help arrives. * Tires must be properly inflated to ensure the best possible traction for your vehicle. Traction is often severely jeopardized in wet, snowy or icy conditions. Better yet, invest in some good tires! We hope you found these tips to be helpful. Please drive safely and enjoy the festivities of bringing in the new year! 10% off the cost of parts during car repair.